Applicants and hiring managers often complain about how long it takes to hire a new employee.This can result in a rushed recruiting and hiring process. Among other issues that come along with acquiring talent, organizations suffer in the long run when poor hiring decisions are made. With video interviewing solutions like WePow, it is easier for recruiters and hiring managers to collaborate effectively while reducing the costs and high potential for bad hires. 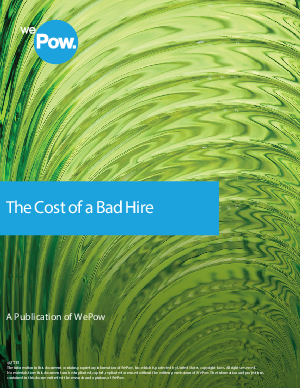 Learn more about the factors that contribute to the cost of a bad hire here!